This OECD iLibrary Theme subscription includes one copy of each new print publication plus online access to all books, periodicals, and databases OECD publishes in the area of industry and services. It includes access to STAN: OECD Structural Analysis Statistics (best for cross country analysis), Structural Statistics for Industry and Services (more detailed data for national analysis), OECD Statistics on Measuring Globalisation, and OECD Statistics on International Trade in Services online databases, as well as to 10-15 new books each year in the field. The subscription includes online access to titles published from 1998 onwards and all historical statistics available in each statistical database. The database includes indicators on capital movements and foreign direct investments, international trade, and economic activity of multinational firms and the internationalisation of technology as well as portfolio investments, environmental aspects and the emergence of global value chains. This subscription provides both current annual print editions (by partner country and by service category) of the International Trade in Services annual, as well as online access to PDFs and electronic versions of the tables appearing in the print version. These ready-made electronic tables are available in three formats: XLS, HTML, and PDF. Data are available for most OECD countries and are shown in US dollar values. 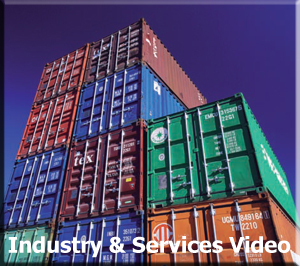 This database includes statistics from 1970 onwards on trade in services by category of service, by partner countries and additional national items and memorandum items series for OECD countries. A subscription to this database also includes access to the related annuals: OECD Statistics on Trade in Services: Detailed Tables by service Category and Detailed Tables by Partner Country. The STAN database includes annual measures of output, labour input, investment and international trade broken down by International Standard Industrial Classification codes including those covering services. This data is designed for reliable cross-country analysis. This subscription provides one copy of the current annual print edition of STAN: OECD Structural Analysis Statistics, as well as online access to the PDF and electronic versions of the tables appearing in the print version in XLS, HTML, and PDF formats. The STAN database includes annual measures of output, labour input, investment and international trade broken down by International Standard Industrial Classification codes including those covering services. The data are generally available from 1970 onwards and are designed to facilitate cross country analysis. Available components include the Bilateral Trade tables, Input-Output tables, industry and indicators tables and R&D expenditure tables. The subscription includes access to the annuals, STAN: OECD Structural Analysis Statistics and ANBERD: Research and Development Expenditure in Industry and their related table files in XLS, PDF and HTML. The Structural and Demographic Business Statistics database provides data from 1990 at a very detailed sectoral level including: turnover, value-added, production, operating surplus, employment, labour costs and investment broken down by sector and business size classes using the International Standard of Industrial Classification Revision 3 (ISIC Rev. 3) for OECD countries. This data is best for individual country analysis. A subscription to this database also includes access to the related annual, Structural and Demographic Business Statistics. This database contains patent data and indicators showing patents by main technology and classification, by regions, as well as cross-country ownership of patents, generally from the late 1970s onwards. The OECD Productivity Statistics presents indicators on labour productivity, multi-factor productivity (MFP) and capital services. It also includes OECD estimates of labour productivity levels and a breakdown of gross domestic product (GDP) per capita in its components. The statistical package subscription includes access not only to the database but also the statistical annual and the annual CSV archival snapshot. The statistical annual includes access to READ, PDF, HTML and XLS versions of all tables found in the publication.